Arrived late evening in Yangon on a Jetstar Airline flight from Singapore November 2016. The cost was US$70 for a one way ticket. 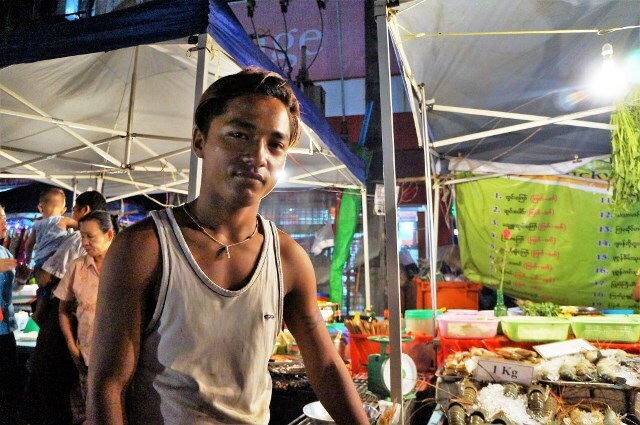 I had a E-visa for Myanmar which I bought for $50 on line. The immigration and customs is quick and easy with no long lines. I changed money at the Airport and took a taxi to my hotel, the cost of the taxi was $10, friendly cab driver and they spoke good English. Tip: Taxis have no meters, settle a price before getting in the Cab. 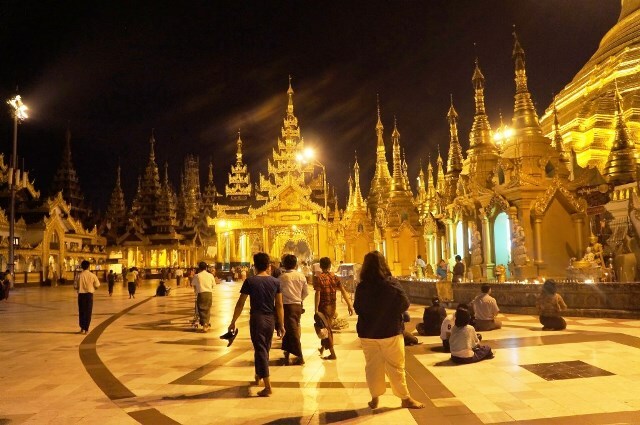 Myth: I read online before I left for Myanmar, There are no ATM, what baloney, there are ATMs everywhere. Safety: Yangon is very safe, I was taking cabs in the middle of the night with no issues. 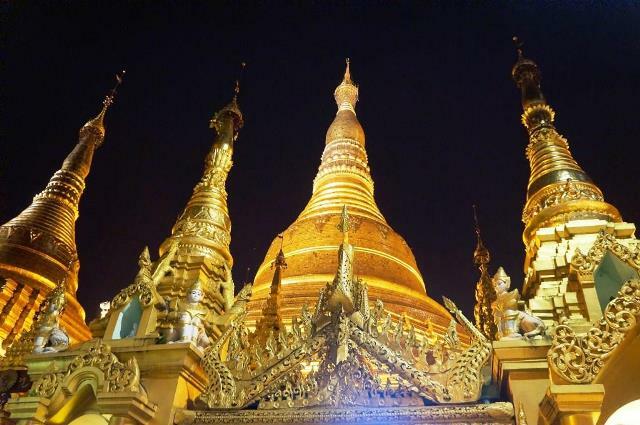 This is a centuries old Pagoda possibly the number one tourist attraction in Yangon. I took a cab for US$2 from my hotel to get to the Pagoda, the whole complex is huge, entrance ticket for foreigners is US$ 8. Give yourself 2 hours to see the whole complex. 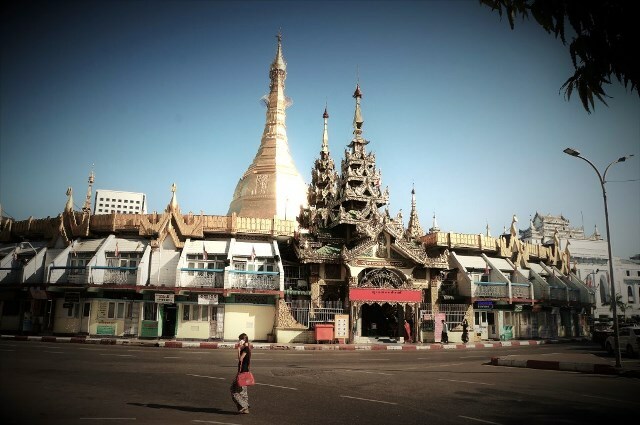 This Pagoda is right in the middle of Downtown Yangon, I went there once during the day and once in the night to take night photos. 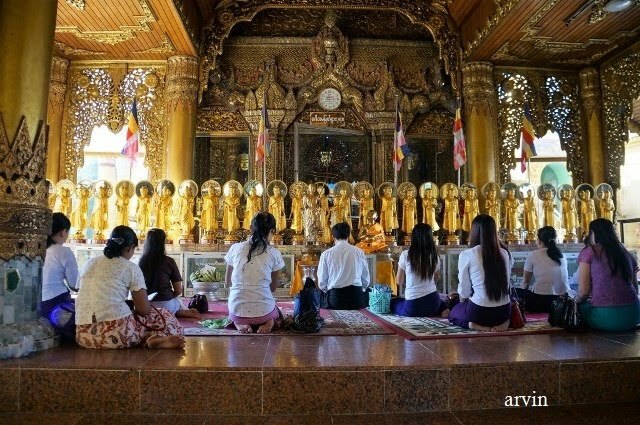 This is a Buddhist temple with a massive reclining Buddha and a must see in Yangon, I took a cab to get there. A must see. 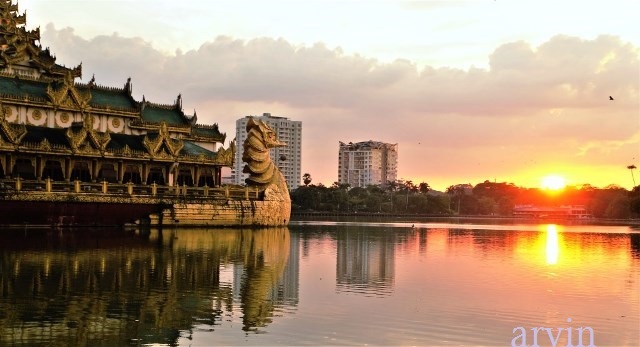 I went there during the evening, to take sunset photos, the big boat or barge on the lake is The Karaweik Palace, a restaurant these days, they also have cultural dance shows with Dinner on the boat. 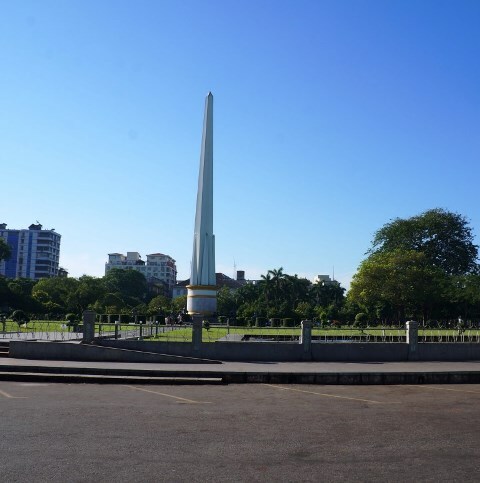 First Picture above is the train station, I walked from downtown Sule Pagoda to the station, the train leaves from platform 7 and the ticket station is right there near the platform. The second picture is the train itself, the worst bumpy ride I have ever been on, the third picture is of vegetable vendors with bulk buy of vegetables from wholesale markets. The round trip is 3 hours. Take some bottled water with you. Also known as Scott Market, I don't shop so really my purpose of visiting the Market was purely to see and look around, maybe get a bite to eat. This is not a souvenir market, more of a Gems and handicraft Market. On a a very busy traffic street and depending on what you buy can be very expensive. Plus you'll be paying tourist prices. The pagoda has sacred hair of Gautama Buddha, and the walk way is kind of a maze. Above - Rohani Bo Bo Gyi is the guardian of Botahtaung Pagoda. There were women praying there, I out of respect didn't want to ask them why, though I wondered. I had the cab driver drop me off to the ferry station, the ticket for the ferry for foreigners is about US$ 4 round Trip, there is an orphanage there if it interests you, other than that the Dala Village can be avoided. If you must go, avoid any guides that approach you as they are not licensed guides, besides all you are doing is walking to an orphanage. Avoid any Rickshaw or tuk tuk, several online forums posts about tourist scams. Well, if I had to do it all over again, I would avoid this museum, but that's just me, if you are a museum buff by all means go there. There is an impressive throne/gate there. After having been to close to 200 cities on Earth, the one museum I can recommend is the Cairo Museum. The picture above is my server, one of the best seafood meals I had with a 750ml beer for under 10 bucks. Another Street Vendor, I love eating fruits, citrus fruit in Yangon to Mangoes in Angkor Wat Cambodia, they are nutritious, hydrating and delicious, the citrus fruit the lady sold me was for 3 US$, bigger than a grape fruit. Please Leave me a comment or feel free to ask questions. Thank You! 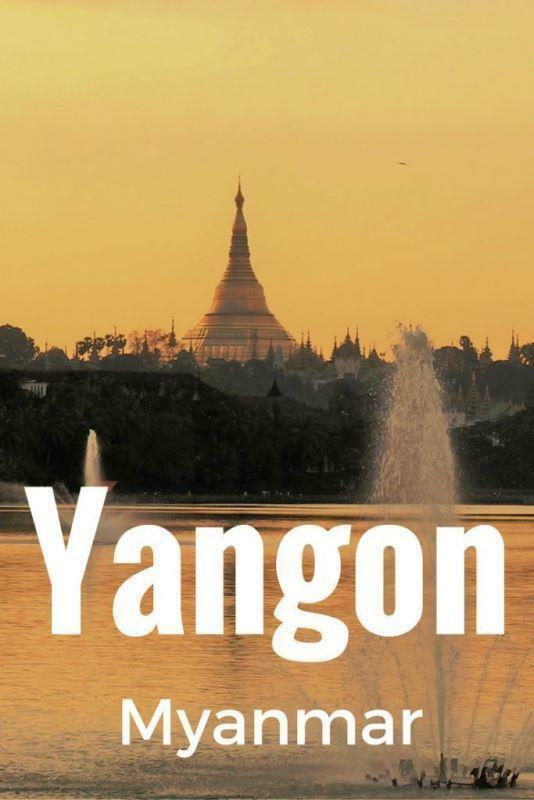 Yangon Myanmar has officially made it on my travel list. Wow! I didn't know it was this beautiful. Avoiding Dala Village Yangon has been duly noted. Thanks for giving real travel reviews and not being bashful about saying which areas to avoid. 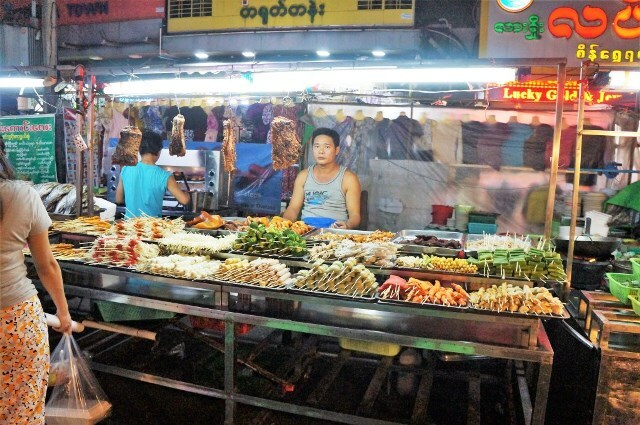 Sure will make a separate post for the street foods, Thanks for the suggestion! 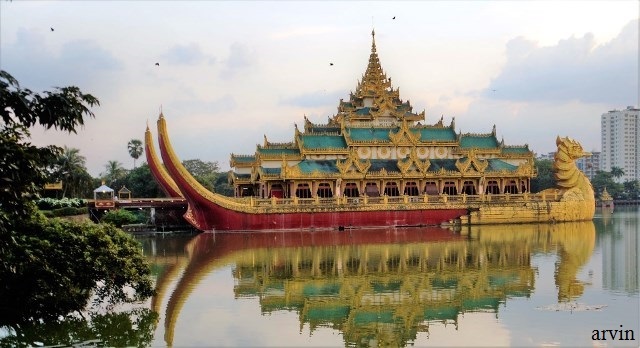 Myanmar and its pagodas are on my dream list. I'm not sure I want to venture into the town at all...I would just like my vision to be replete with those pagodas. This place has an aura of being stuck in the past...so charming. This is beautiful! I have always wanted to go here. Noted about the Dala Village - I will avoid!